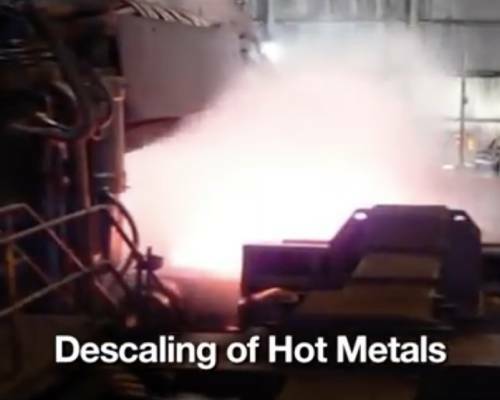 A layer of scale is produced on the surface of metal during re-heating of metal in furnace. Scale is a layer of oxide develop on the surface of the steel because of high temperatures, up to l250 °C, and the presence of oxygen and different gases.Descaling by High-pressure jet produce mechanical force due to high impact pressure of a razor blade like jet (extremely sharp edge) are consider for the removal of the scale from the surface. Scale is discharged from surface of Billet by different rate of contraction of scale. 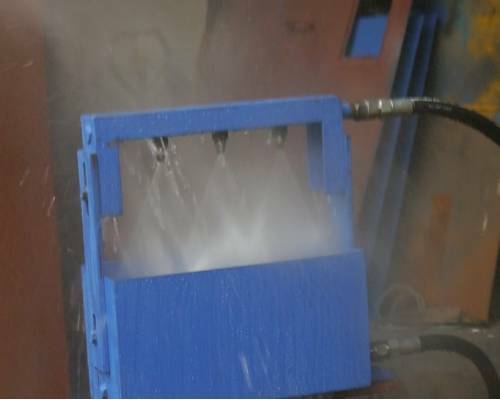 The released scale is washed away with high-pressure water through angled jet. 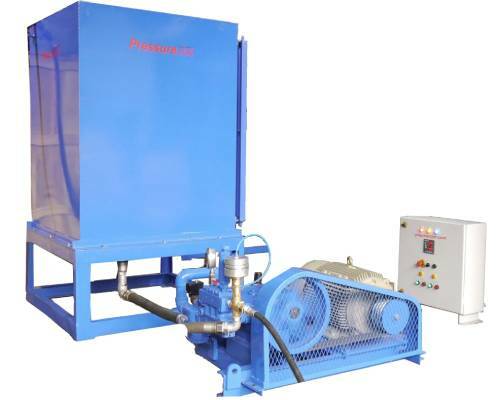 The use of hydraulic descaling system in production processes is key measure for the quality of the steel. 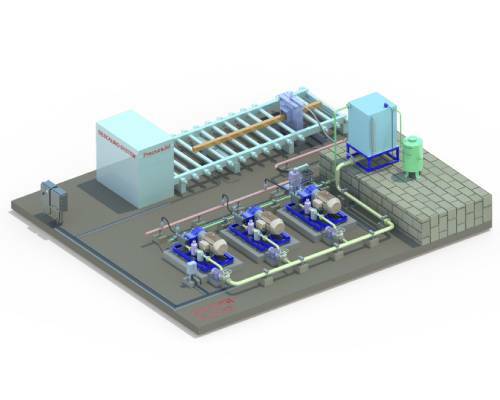 Increasing demand of reduction in energy consumption, the high demand on quality of the hot rolled product with maximum output, and the increasing proportion of high alloy steel qualities, have to be met by modern descaling systems.